Never feel disorganized again with this cute small sized make up bag. You can take it with you to carry makeup essentials or pens and pencils. 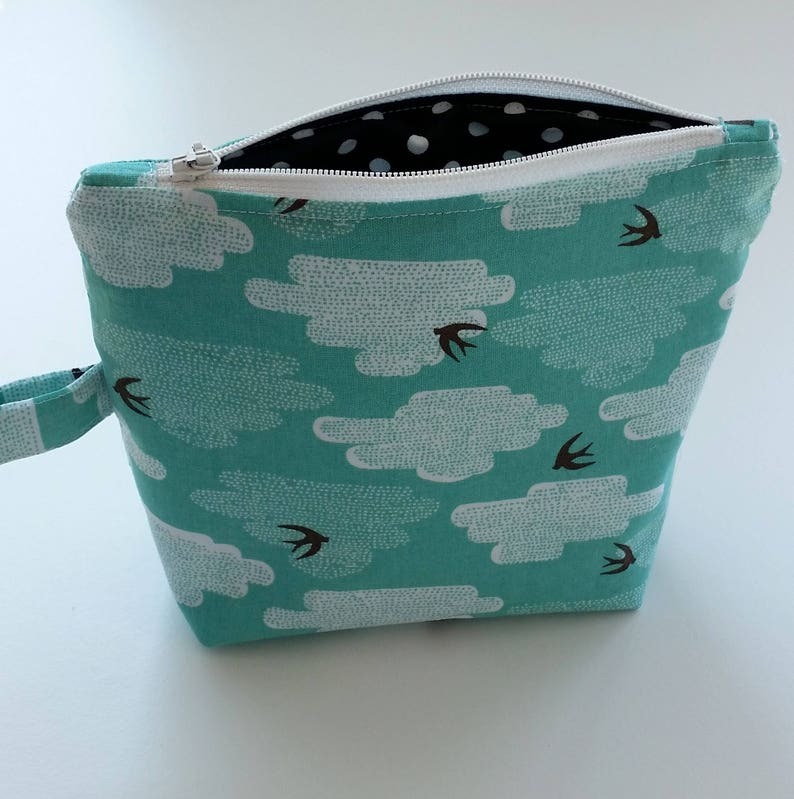 This zippered pouch is (hand)made of a organic designer fabric and fully lined with a matching fabric. It also has an internal pocket. The size of the bag is 7"x 5.5" (18 x 14 cm).